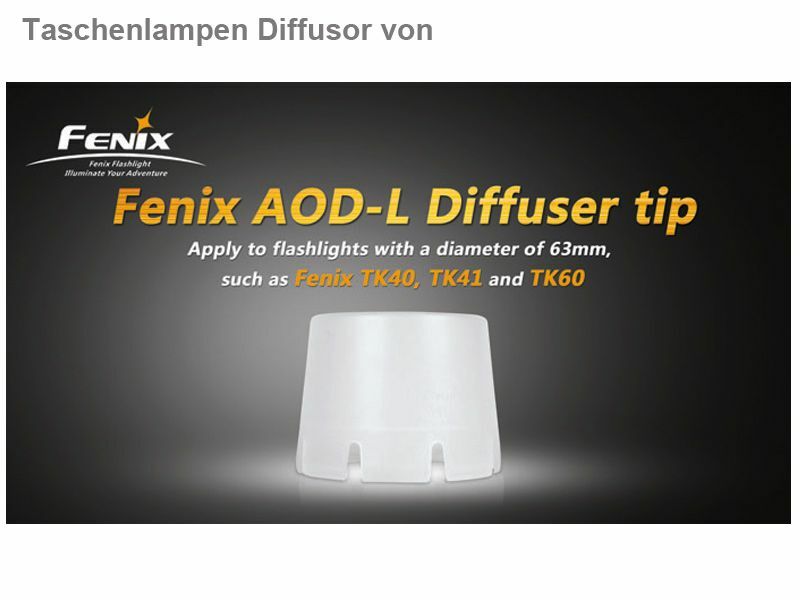 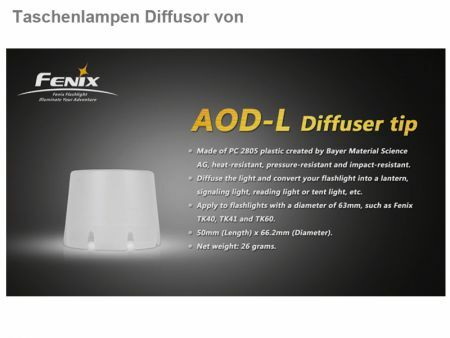 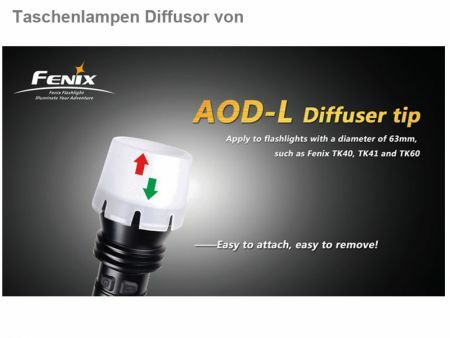 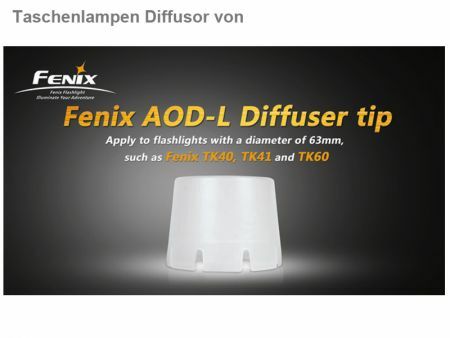 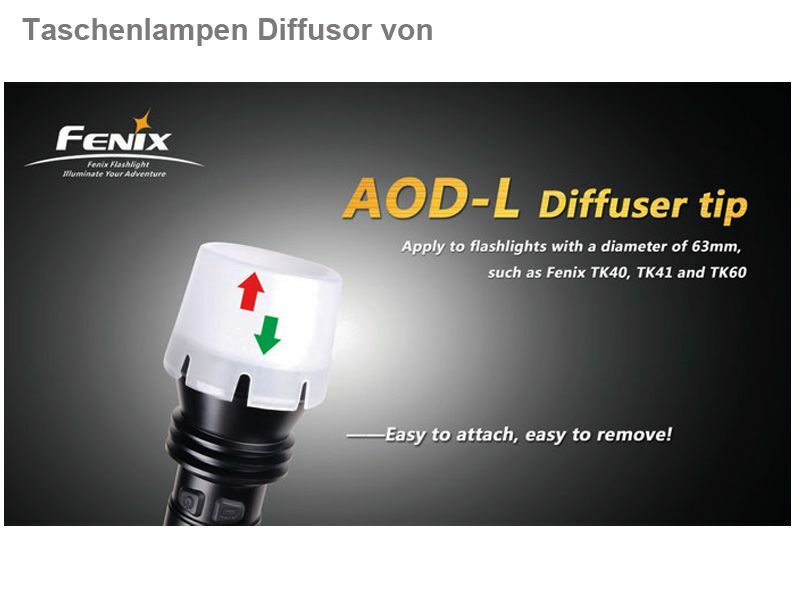 The Fenix ​​AOD-L diffuser transforms the strong and bright light of Fenix ​​TK40 in a soft and smooth light source. The selective light beam is scattered widely through the diffuser, allowing the soft illumination of photo and movie scenes. 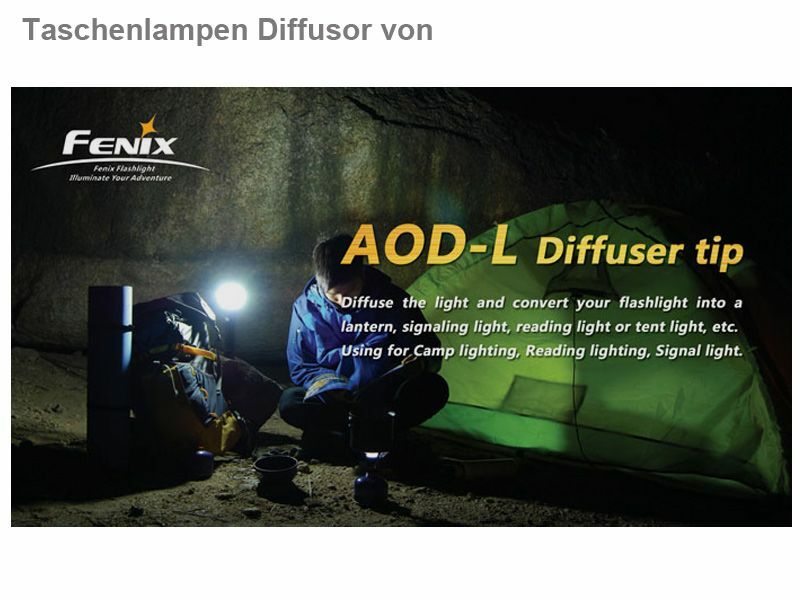 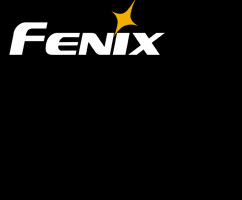 The Fenix ​​AOD-L diffuser is easy to attach the flashlight mounted and fits all flashlights with a head diameter of 63 mm.